← Beets Hash….Find your Beet! 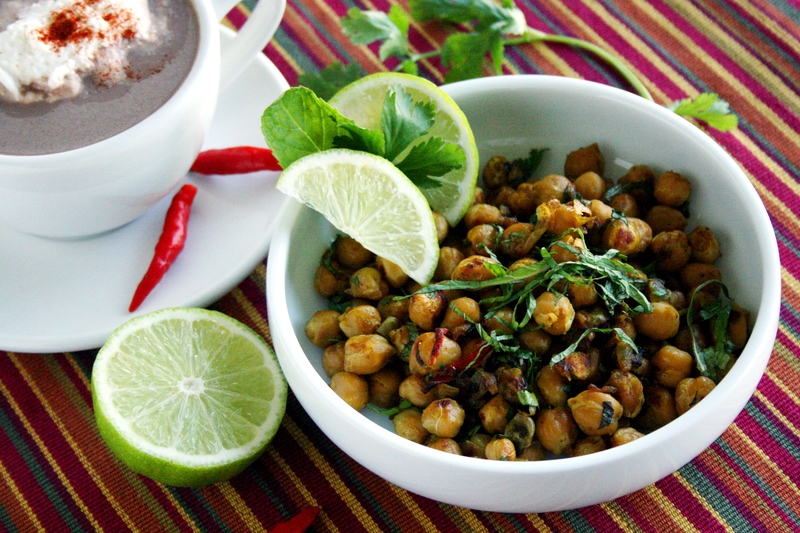 Chatpata Chana, roughly translated as Zesty Chickpeas is a minimum effort tea time or coffee time snack. The best part is it can be made under 10 minutes. 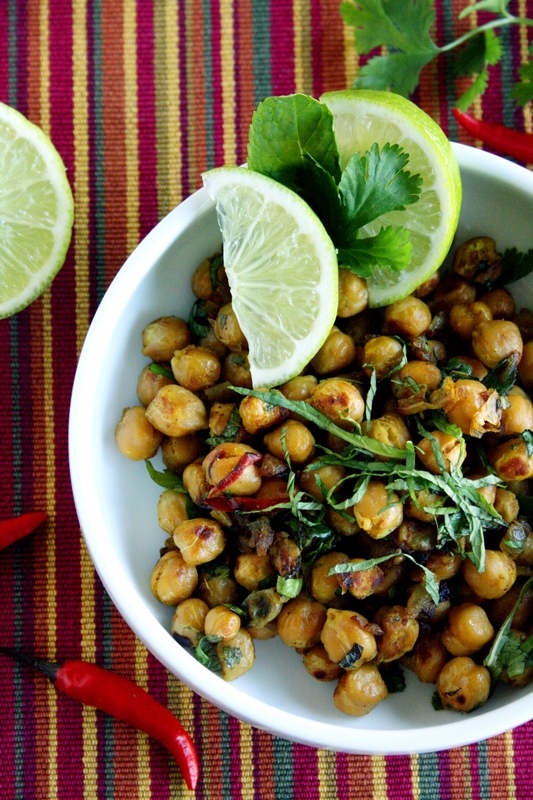 All you need is a can of chickpeas and Chaat Masala. Rest of the embellishments are up to you. Many variations of these could be found as street food in India. 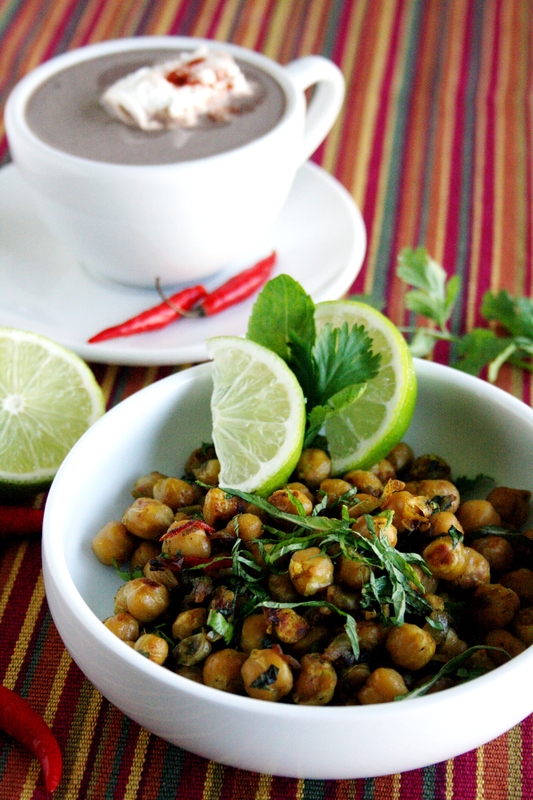 Most often they are made with Kala Chana (black miniatures of the familiar chickpeas). Street vendor’s version includes soaking them overnight and boiling in water (ahem, from questionable sources), with a pinch of salt (no pun intended). They carry them around in their portable baskets also containing garnishes such as chopped onions, tomatoes, lemon, cilantro, green chillies and Chaat Masala. If you don’t question the hygiene aspect, they are the best tasting. I ate them all the time as a kid and even as a grown up on several occasions–as long as it was not during the monsoon season. That is when the water sources become really questionable! I used to wonder how the street vendors managed to keep the cooked chickpeas from spoiling in a hot climate like India. But may be its the throughput that keeps them from getting stale. And if it is any evidence, we did not get sick often, considering how frequently we ate such street food. I made it recently with sauteed onions (optional), chillies, mint, cilantro and Chaat Masala. It provided just enough tang to compliment a chilli infused hot chocolate. Spicy!! Add the chickpeas and turmeric, if using. Toss to combine and lightly sauté on medium for 3-4 minutes. Chickpeas will just start to turn golden brown. Stir occasionally until they appear dry and browned all over, in about 4-5 minutes. Turn off the heat and sprinkle the Chaat Masala and chopped herbs. This entry was posted in Appetizers, Recipes, Snack and tagged frugal fare, International. Bookmark the permalink. Those look intensely delicious – a really great dish! Frugalfeeding, that means a lot..coming from you! I’d buy those from a street vendor any day! Beautiful pics, as always.